Now that summer is here, let’s make it a memorable one. Don’t let it slip by this year! 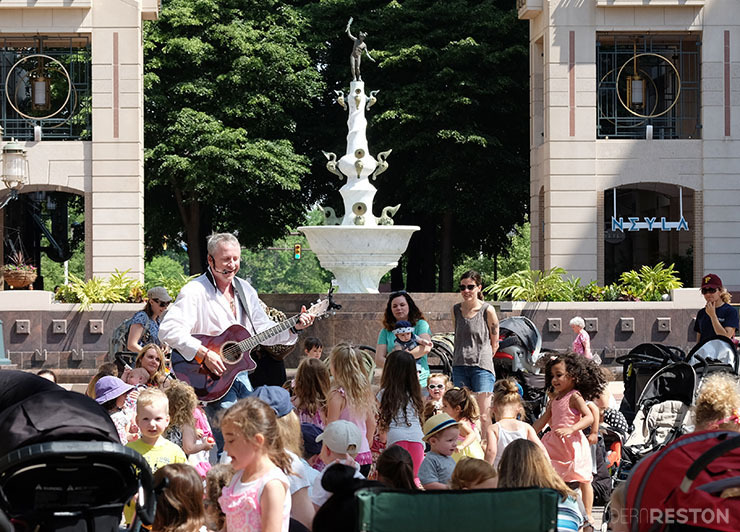 Here’s a list of some of the most fun things to do during summertime in Reston and nearby parts of Northern Virginia. You’ll want to bookmark this page and refer to it all summer long. 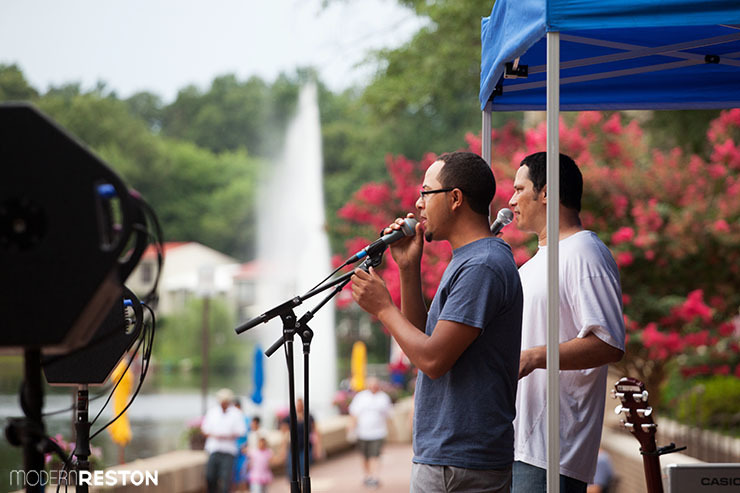 ☐ May 28-31, 2015: Enjoy the carnival and concerts at the Herndon Festival. ☐ June 13-14, 2015: Fill the Plaza with color at the Lake Anne Chalk Festival. ☐ June 14, 2015: Salute the sun at the Love Your Body Yoga Festival. ☐ June 19-20, 2015: Eat, drink, and be merry at Taste of Reston. ☐ June 26-July 5, 2015: Cheer for heroes at the World Police and Fire Games. ☐ July 4, 2015: Watch the fireworks over Lake Fairfax Park. ☐ July 11, 2015: Enjoy the tropical sounds of Lake Anne’s Ukulele Festival. ☐ September 5, 2015: Dance on the waterfront at the Lake Anne Jazz & Blues Festival. ☐ Get swept along Rattlesnake River at the Water Mine Family Swimmin’ Hole. ☐ Tour a Reston lake by boat (you can rent one at Lake Anne). 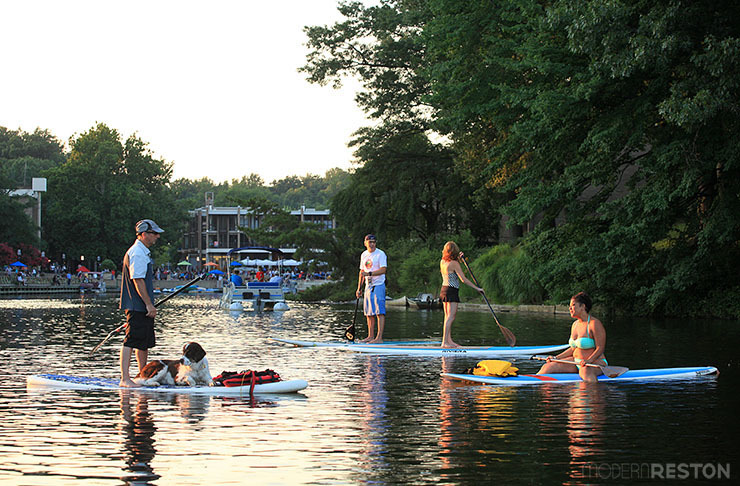 ☐ Tour a Reston lake by paddle board (you can take a lesson with Surf Reston). ☐ Go down the big tunnel slide at Glade pool. ☐ Cool off in the fountain at Lake Anne Plaza. ☐ Celebrate with friends at a pontoon party or dock party. ☐ Catch the one that got away while fishing at a lake or stream. ☐ See how many RA pools you can visit in a summer. ☐ Watch a movie while swimming at a Family Dive-In Movie. ☐ Eat free poolside burgers at an RA Community Cookout. ☐ Run through a splash pad at Reston Town Center (opening soon), Dogwood Pool, or Lake Anne Park. ☐ Eat a lakeside dinner at a Thursday night Take a Break Concert at Lake Anne. ☐ Join the party at Herndon’s Friday Night Live. 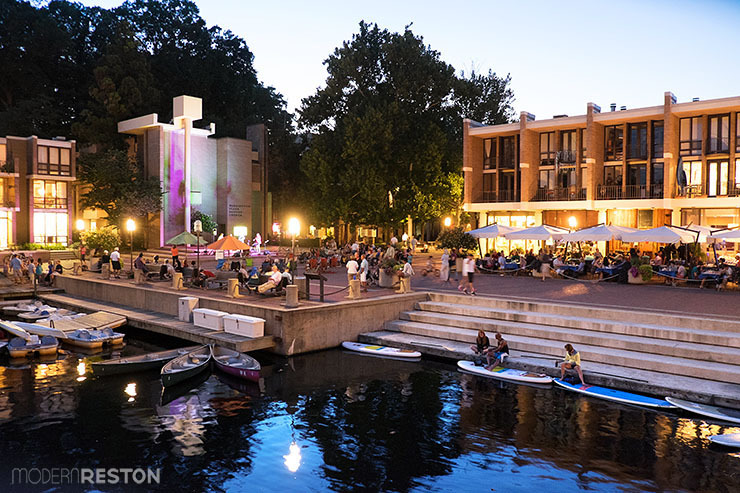 ☐ Enjoy patio drinks at Clydes or Neyla during a Saturday Night Reston Concert on the Town. ☐ Bring a picnic for a Sunday Night Concert on the Green at Great Falls Village. ☐ Watch a free movie under the stars at the Lake Anne Summer Film Festival. ☐ Enjoy the ultimate in outdoor performance venues at Wolf Trap. ☐ Take the kids to Reston Town Center on Monday mornings to see Mr. Knick Knack. ☐ Take the kids to Lake Anne on Tuesday mornings for children’s entertainment. ☐ Bike the W&OD Trail to Herndon or Vienna or beyond. ☐ Play a round of tennis on one of the 52 RA courts. ☐ Hike along the Potomac from Riverbend Park to Great Falls Park. ☐ Take your bike off-road on the mountain biking trails at Lake Fairfax Park. ☐ Explore a Reston trail that is new to you. ☐ Learn a new trick at Lake Fairfax Skatepark. ☐ Walk through the woods from Walker Nature Center to Lake Audubon. ☐ Watch and cheer for a kids’ swim meet, baseball game, or soccer game. ☐ Roast marshmallows and sleep in a tent at Lake Fairfax campgrounds. ☐ Sip a glass of wine with dinner on the patio of Vinafera. ☐ Enjoy one of Reston Town Center’s many restaurant patios. ☐ Treat yourself to fine dining at L’Auberge Chez François in Great Falls. ☐ Drive out to the countryside for a winery picnic. ☐ Reserve a picnic pavilion at one of the RA parks. ☐ Reserve a picnic pavilion at Lake Fairfax for a cookout with a view. ☐ Visit the Reston Farmers Market and try a food you’ve never tasted. ☐ Head to Tysons mall for outdoor dining and recreation on the Tysons Plaza. ☐ Bring a picnic or carryout and eat on the grass by the “Bird in the Hand” stick sculpture. What did we miss? 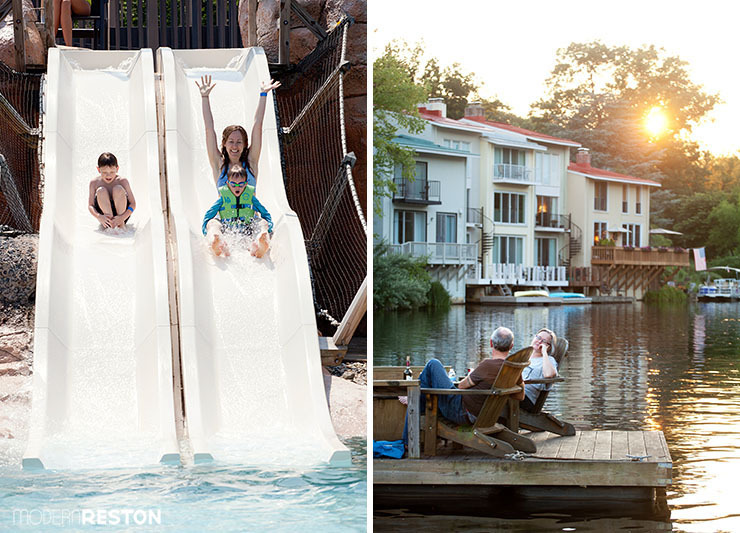 What are you favorite things to do in this area during the summertime? Please let us know in the comments. We’re always looking for new ideas! Photo credit for all photos: Charlotte Geary. All rights reserved.